I love voile - and after reading this post on Anna Maria Horner's blog I knew I had to make receiving blankets out of voile and flannel. 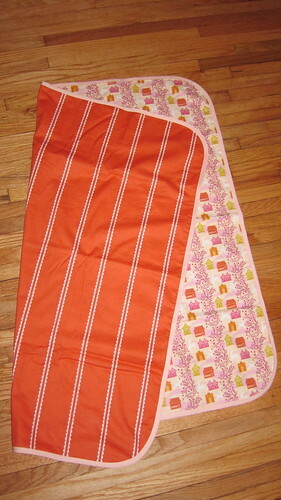 Both of these were made using a yard of Little Folk voile and a yard of Little Folks flannel. I trimmed the corners using a plate then stitched them together using a 1/4" SA. I trimmed the blankets in purchased extra-wide double fold bias tape. I didn't have the patience to make my own bias tape, especially out of the slippery voile that's recommended. Super quick and easy and they're soooo soft! 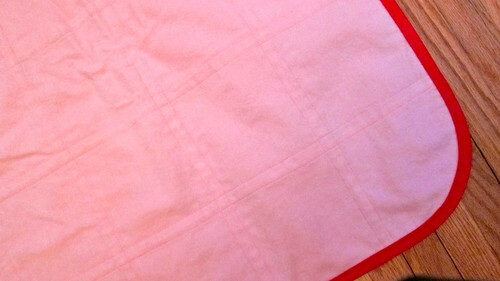 For Christmas I received a fat quarter pack of the Little Folks voile in a pink/red colorway. I cut 89 - 5.5" squares then sewed them together using a 1/4" SA. I used 54" width flannel as the backing so I could keep the blanket on the larger side at 45"x45". Given the size of the blanket, I knew it needed to be quilted but wanted to keep it simple. I used my walking foot and stitched 1/4" on each side of every seam. 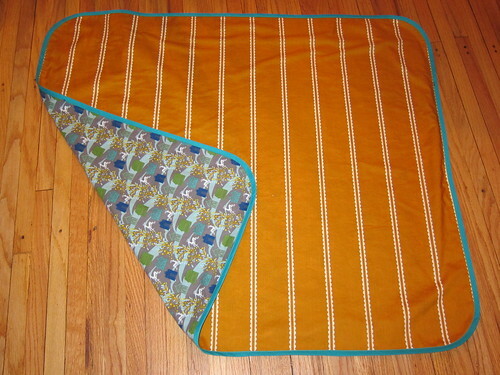 It's trimmed the same way the other ones were - using extra wide double fold bias tape. This is one of my favorite blanket I've ever made - I want one for me! 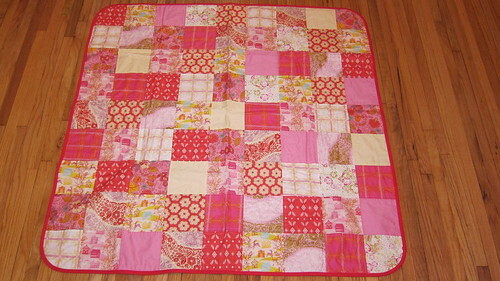 The Patchwork Blanket is beautiful!